My Christmas decor just came down, and it’s kind of bittersweet. I love having lights, greenery, and all things Christmas up in our home, but once it comes down I’m ready for a clean house with some darling farmhouse winter decor that’s perfect for the next few wintry months. For my winter decor, I tend to go more neutral–whites and creams–with pops of black and grey. I also adding in some greenery, which is perfect year round, and it breathes a little life into the whole look. I think it’s perfect for the season, and then when spring comes, I’m ready to add in pops of color with flowers. 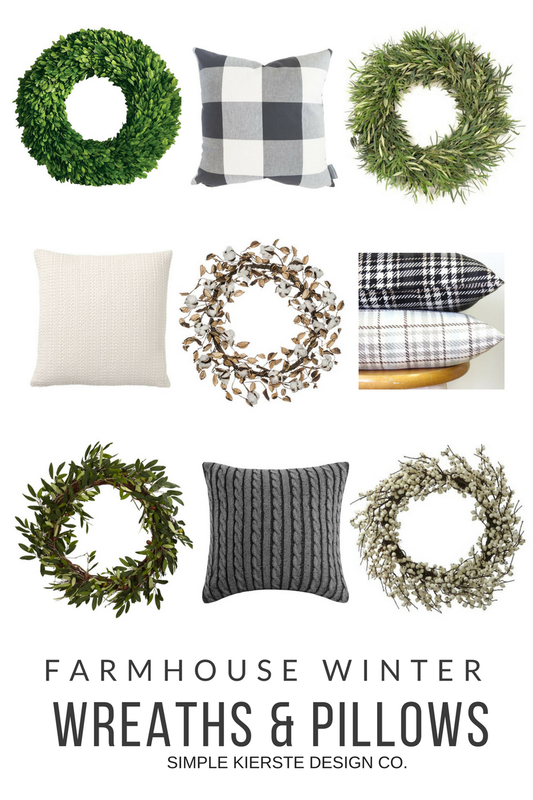 When I switch my decor every season, I focus mostly on wreaths & pillows. 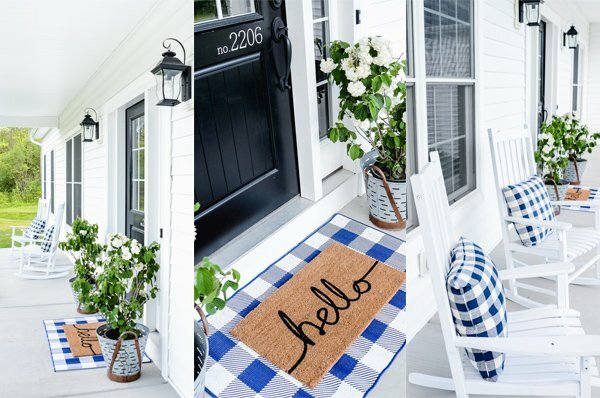 I think they give the most “bang for your buck”, and can change the look of a space very quickly. I usually change out the pillows on my couch–or maybe leave a few and add in some different ones. Buffalo check is still my favorite right now, and for winter I love using charcoal or black. Cable knit pillows are perfect for winter, because of their texture and cozy feel. When it comes to winter wreaths, my overall favorite is still a boxwood wreath. It fits with every season, and looks great all year long. I love how it adds some color to my otherwise neutral decor. Some other favorite winter wreaths use cotton, twigs, white berries, olive branches, and willows. Natural elements work perfectly in farmhouse decor, and these all work really well in the winter.